Montara Lighthouse. 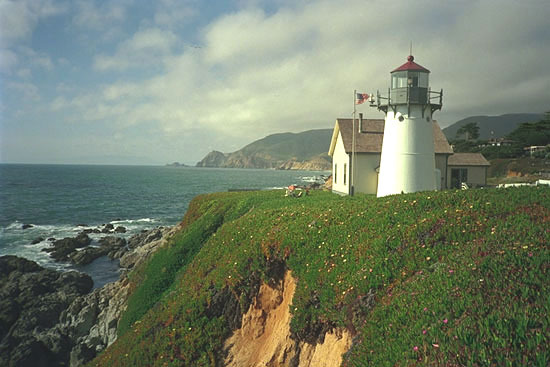 On the coastal road in California, I discovered this great youth hostel. You can stay overnight for $12 and they have a hot tub to use as well overlooking the sea.